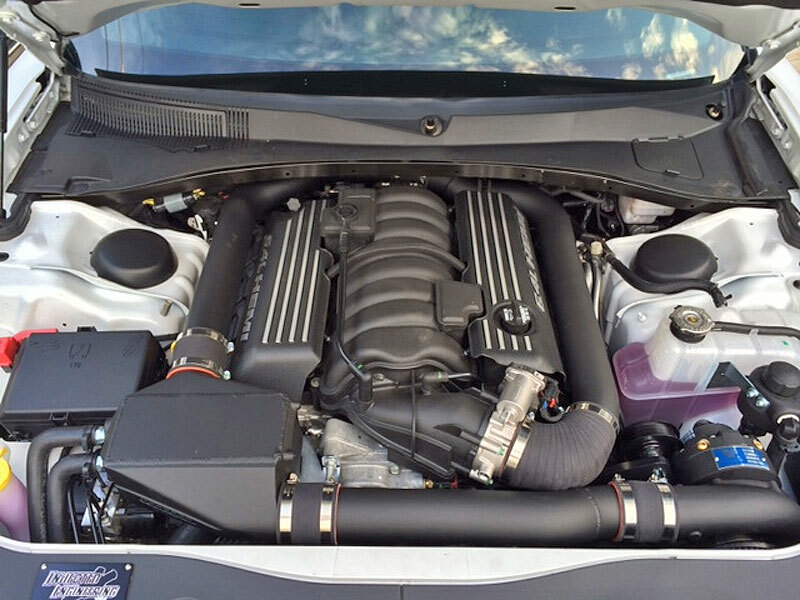 This supercharging systems for the 6.4L HEMI applications include the V-3 Si Supercharger with Vortech's air-to-water double pass charge cooler system, and allows for retention of all factory accessories. 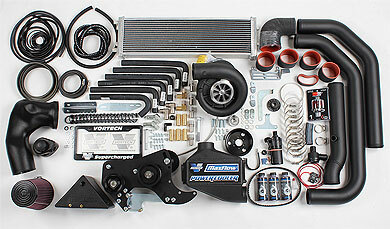 Tuner kits are available for 2011-2012 Automatic and Manual Transmission vehicles. 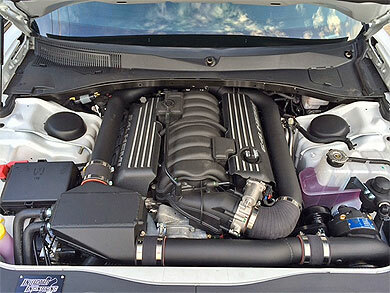 Vortech V-3 Si CCW gear driven centrifugal supercharger features an internal lubrication reservoir that does not require a connection between the engine oil pan and the compressor gear case... no oil line. Stealth Black Finish makes for stylish, OEM appearance once installed. Welded charge air cooler core assembly with aluminum discharge ducting, compressor bypass valve, silicone coupling sleeves and stainless steel clamps. Charge air cooler water tank with all necessary hoses, clamps, and fittings. Large capacity, dual pass water cooler (heat exchanger). High flow molded air inlet duct with re-usable high flow air filter. Tuner kits are the same as complete systems except without the fuel system upgrades or ECM reprogramming. This allows for custom tuning and fuel modifications that the custom tuner or racer may prefer.